There was a time when implementing a Customer Relationship System (CRM) used to be time-consuming and expensive. Entire teams would dedicate their time and energies to implementing and ensuring that the CRM worked as predicted. That was before the introduction of SaaS (Software as a Service) and cloud technology later on. Now it is possible to not only implement CRM according to the best practices, but also ensure that the CRM is flexible to changing needs. After all, the business landscape is changing at a rapid pace; what worked for a long time might become obsolete in a matter of months or years. That’s why you need to be proactive, anticipating trends and patterns and acting accordingly. You might be wondering, “how can I make sure that my clients get the best out of the CRM?” After all, helping your customer succeed is just one way of knowing that you’re in the right path. While there’s no clear-cut solution, below are some very useful tips to bear in mind while building your CRM consulting practice. Clarity is the firs step towards understanding. In an ever-changing business landscape, you need to be always on research mode. Companies want a solution that easily integrates with their existent systems and applications. Moreover, they want the solution to be flexible to ever-increasing demands and changing needs. After you identify your target group, start by gathering relevant information about them. You and your team need to understand your prospects’ business logic and processes. The more you know about their business logic, objectives and operations, the smoother the implementation process will be. Analyze as much as you can, see what works and what doesn’t. Remember, your final aim is to tailor the CRM to changing needs and increasing demands from business owners. Take the time to really understand your prospects’ business processes. It will pay off in the long run. Before you begin to explain the CRM implementation process to prospects and clients, you first need to understand your target market. That is, you need to thoroughly analyze the industry by reach, size, structure, etc. Ever since the advent of the SaaS model, more and more small and medium-sized companies have implemented CRM solutions to boost sales, automate repetitive tasks and offer a great customer service. Small and medium-sized businesses (SMBs) can be a great target if you’re planning to offer CRM consultancy. Learning about the SMB industry should be a priority. In addition to technical expertise, you and your team need to develop industry knowledge and expertise. Analyze the industry, learn about its inner workings and best practices. If your target market is the SMB industry, you should gain a deep understanding of its structure, size, reach, performance, trends, etc. The more you know about the industry, the more your prospects and clients will trust you. That’s why industry expertise is vital. Implementing a CRM may take time and resources, depending on the CRM’s flexibility and your team’s expertise. This need not be the case, though. You may have a great plan and a solid strategy, and you still may not get the desired results. What you need is laser-like focus on implementation and ongoing training. The two go hand in hand; you can’t have a successful training program without a proper implementation and vice versa. That’s why you not only need to have a clear implementation plan, but also a well-defined strategy for the training part. As with everything else in life, genuine communication with users is the key to successfully implementing the CRM. Granted, you don’t stop at the implementation process but establishing an open and genuine relationship with users right from the start is crucial for further progress. Provide training for the core features of the CRM and then proceed to offering expertise for more technical and complex features of the CRM. By doing this even before the implementation process takes place, you make users feel more in control of the CRM. Contrary to popular belief, implementing the CRM in phases is actually a great idea. Why? Because users might feel confused when faced by a whole new system. Implementing in phases eliminates confusion and helps users get familiar with the CRM, one step at a time. You have learned all you can about business processes and the industry. You’ve also focused on implementation and ongoing training. You’re all set for success, right? Not quite. You should build strong and genuine relationships with your prospects and customers, even after you’re done with the implementation part. Only by gathering genuine feedback can you improve and grow. As with everything else in life, your success depends consultant on the quality of your relationships with prospects over the long-term. Don’t underestimate the power of genuine feedback. Used the right way, it can help you improve and also scale your business. Flexie CRM is highly focused on Small and Medium-sized Businesses (SMBs), and we are committed to offering you the very best service and overall experience. Fast and efficient communication is key, that’s why we provide interaction across multiple channels such as email, instant messaging, Youtube, knowledge base and social media as well. It doesn’t stop here: at Flexie, you will get ongoing, step-by-step support. Our team will answer any question you might have concerning implementation, post-implementation and anything else that might help you build a successful CRM strategy. It doesn’t matter how specific or unique your business requirements might be: Flexie CRM is highly flexible and our team will help you through every step. What’s even more important, we offer individual training sessions with each client. One of the greatest things about Flexie CRM is that small and medium-sized businesses(SMBs) can all benefit from our consultancy service. We are happy to provide questions to every question that you might have. We firmly believe that all successful relationships require reciprocal trust and investment, that’s why offer you the very best of our consulting service. Implementation is only the first step in the long process of building a successful CRM strategy. 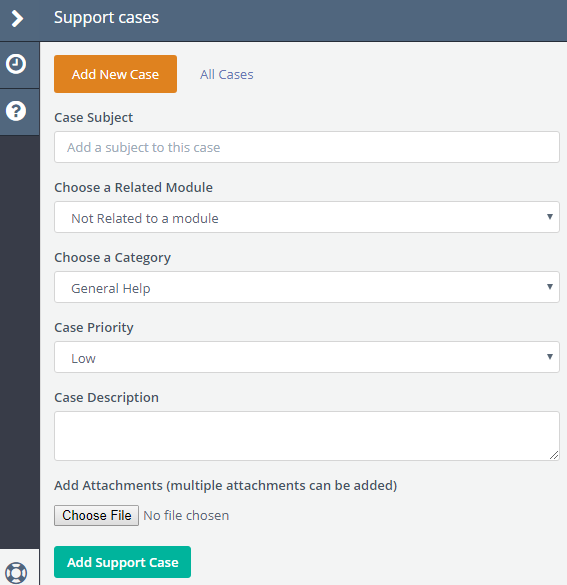 At Flexie CRM, you will get quick and quality post-implementation feedback through our Support Cases section. Our team is ready and happy to provide you with quick and relevant information, helping you throughout the entire post-implementation process. To make your experience with Flexie CRM even more enjoyable and interactive, we highly encourage you to subscribe to our YouTube channel, Flexie CRM. Building a successful CRM consulting practice may take time and resources, but the pay over the long run is priceless. After all, you’re trying to be successful by ensuring that other people succeed at what they do. Isn’t that great?